Florentine’s young musicians are involved in ensembles from an early age and experience levels. 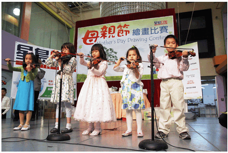 Group playing allows students to learn more quickly by listening to others, understanding harmony, motivation, accountability and affords many exciting performance opportunities in venues throughout the New York City area. We have groups for singers, string players, keyboard and piano students, and guitar students. We match students of appropriate level in beginning and more advanced chamber music ensembles such as string quartets and piano trios. Students perform at festivals and community events. This ensemble is for students who can independently read music and who would like greater exposure to various composers and orchestral repertoire. Typically, we begin with an hour of sectional work, and then come together as an orchestra to work on musical interpretation of the notes. 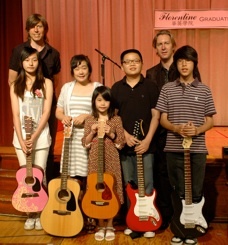 Our guitar ensemble allows students to play together and practice chords and melodies. By playing blues and other improvisation pieces, students learn to take turns with various musical roles, supporting chords, leading lines, and hone their rhythmic skills. In partnership with the InterSchools Orchestra of New York (a premiere orchestra training program since 1972), Florentine and Trinity Wall Street have created a new youth orchestra in Lower Manhattan by partnering. Conducted by Amelia Ames, this beginning youth orchestra is open to all students who are able to read music. The orchestra performs several times a year and often combines their performances with other youth orchestras in the InterSchools Orchestra program. Professional instrumental coaches from area orchestras will help students achieve their fullest potential. 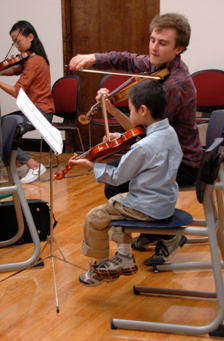 The youth orchestra meets on Mondays from 4:45-5:45pm. in the choir room of Trinity Church at Broadway & Wall Street. 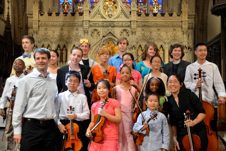 For audition and schedule information contact ISO Program Director Gary Tigner at 212.410-0310 or gtigner@isorch.org. Please note that rehearsals are held at Trinity Wall St. in the second floor choir room.